Well peat and heather, together, cover every contour of the rolling landscape of these windswept islands. 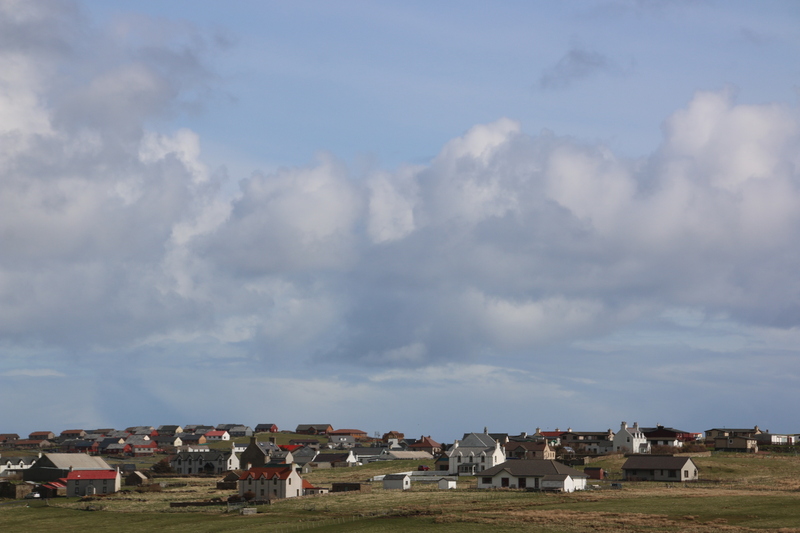 Human settlements huddle together dotted across the moorland or along estuaries or clinging to the sides of headlands, trying to shelter from the constant winds. This is the village of Hoswick. 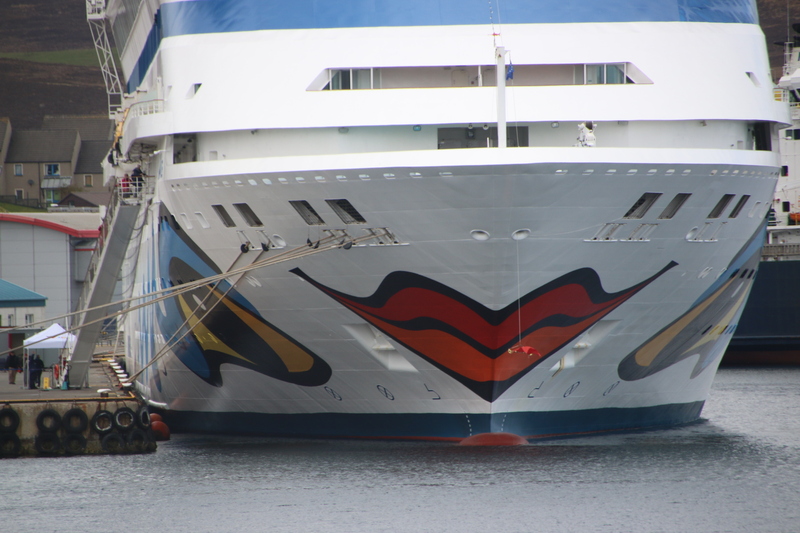 It boasts a visitors’ centre with a cafe, two small knitwear outlets that cater, in particular, for coaches of tourists from the cruise ships that visit Lerwick, a general store and its own Carnegie Hall – their community hall. 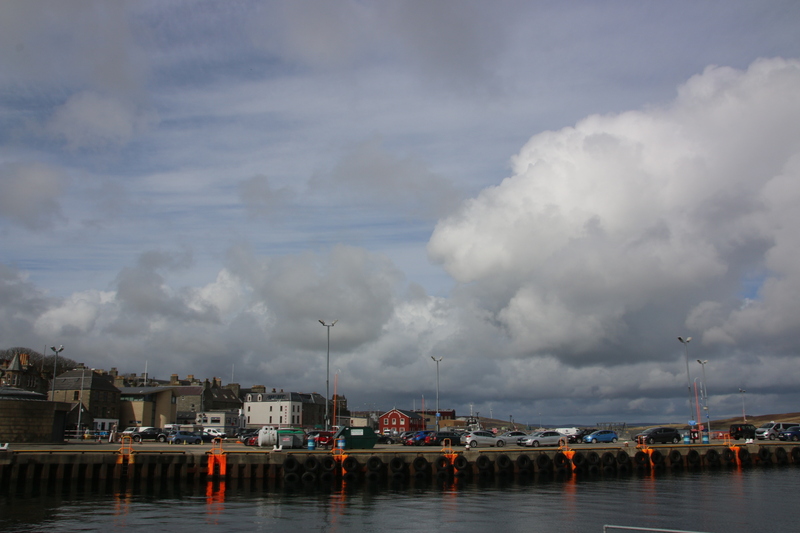 Lerwick is the capital of Shetland. 9,000 people live here around the moorland cliffs that line either side of the peninsula on which it is built. 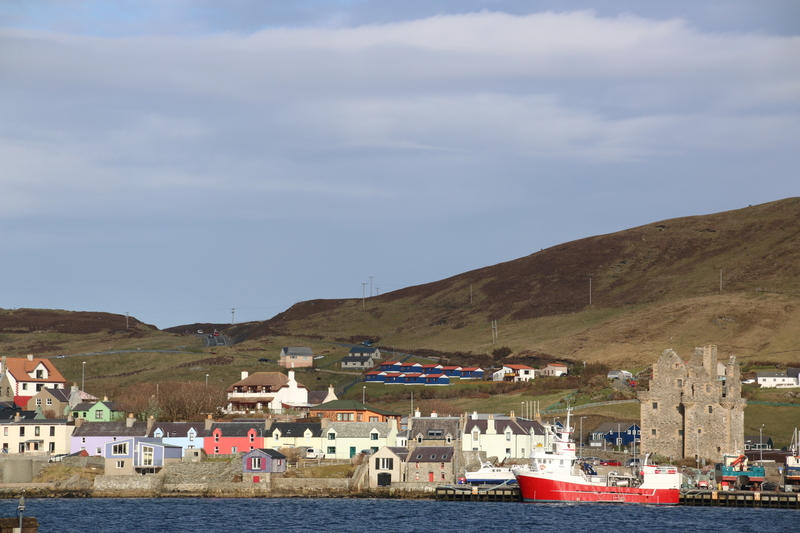 The historic centre faces the island of Bressay across the bay connected to the capital by a regular, plodding ferry. Around the old harbour the rather austere, grey, granite buildings stand tall against the weather with their strong facades immovably protective to the shops & businesses & cafes & fish and chip fryers that are housed within the safety of their walls. 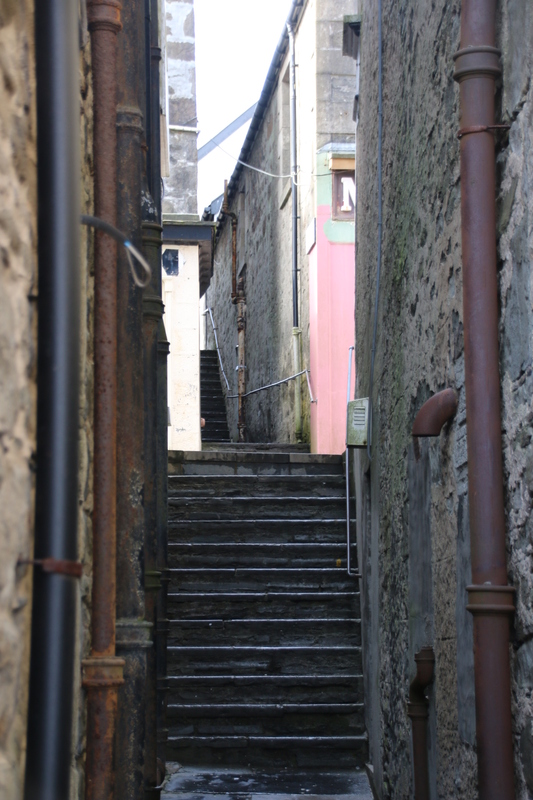 Narrow stepped streets fan out and away from the main shopping drag to the buildings that stand in lines in their uniform of grey pebble-dash. Down from the centre the old fishing houses line the bay. 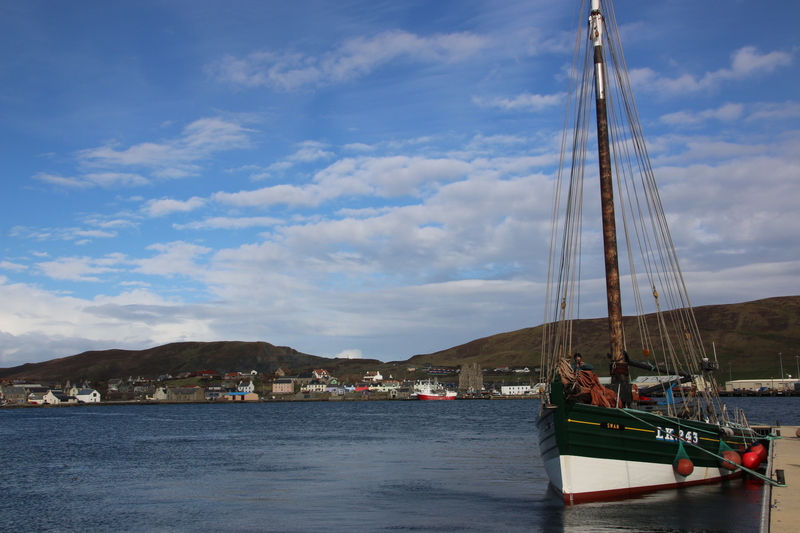 It is here that the Dutch herring fleets would unload their catch straight into the buildings. The locals would give woven goods in payment. 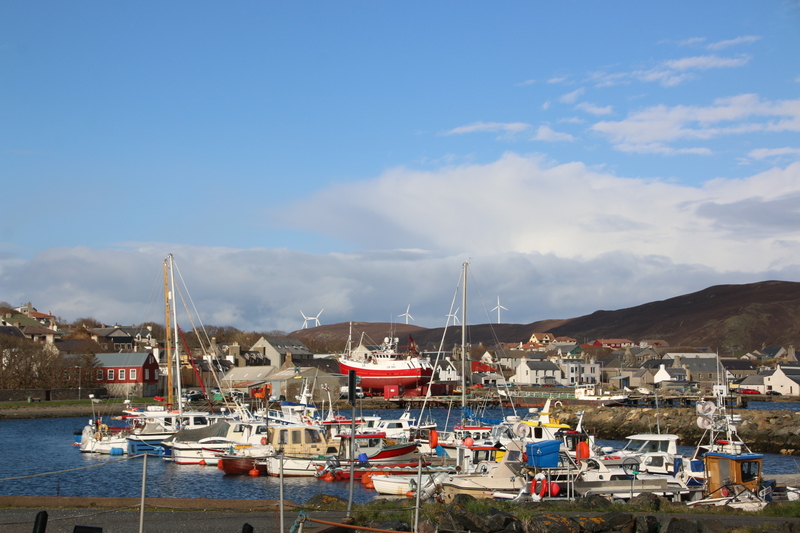 In the other direction the wharves have been modernised to provide warehouses, ferry terminals, anchorages for huge fishing vessels and tie up spots for cruise ships who unload their cargo of multilingual tourists on the local shops and neighbouring countryside. 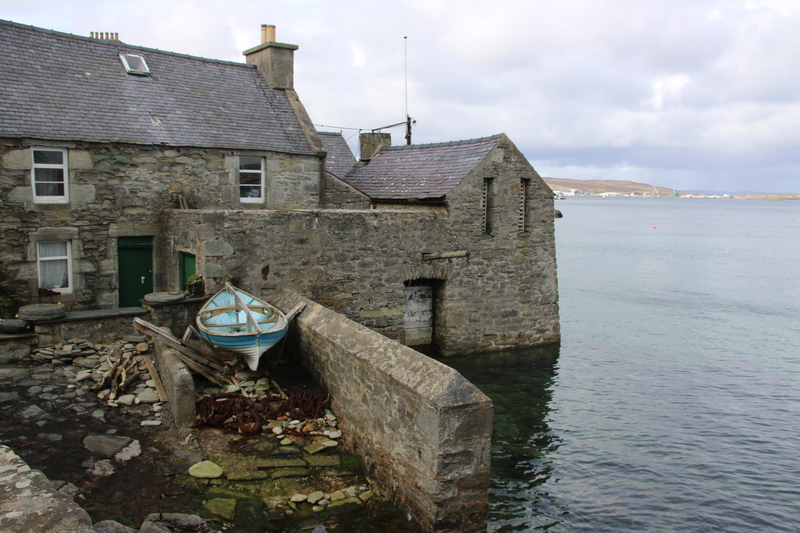 Here the excellent Lerwick Museum is open most days between 10 & 4. 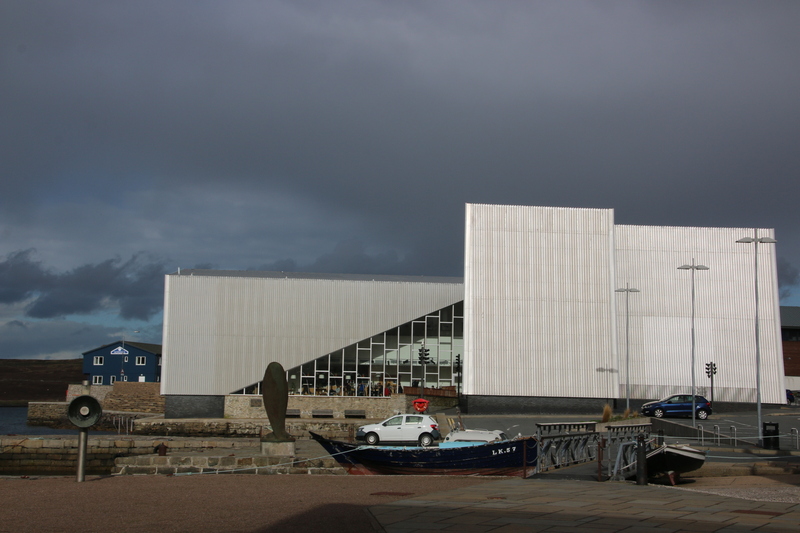 The Mareel building, faced with sheets of metal, provides a venue for a cinema, music, drama & exhibitions as well as a very pleasant cafe. After a cream tea it is back home. 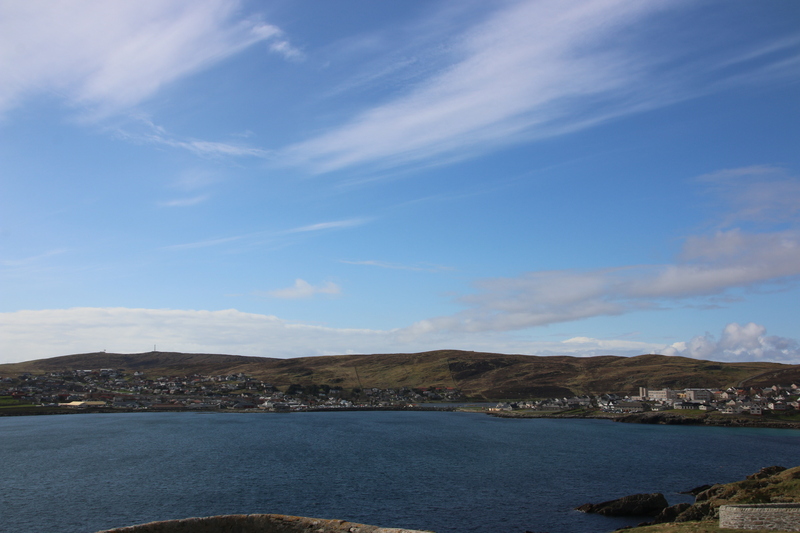 On the way back I drop down into Scalloway. 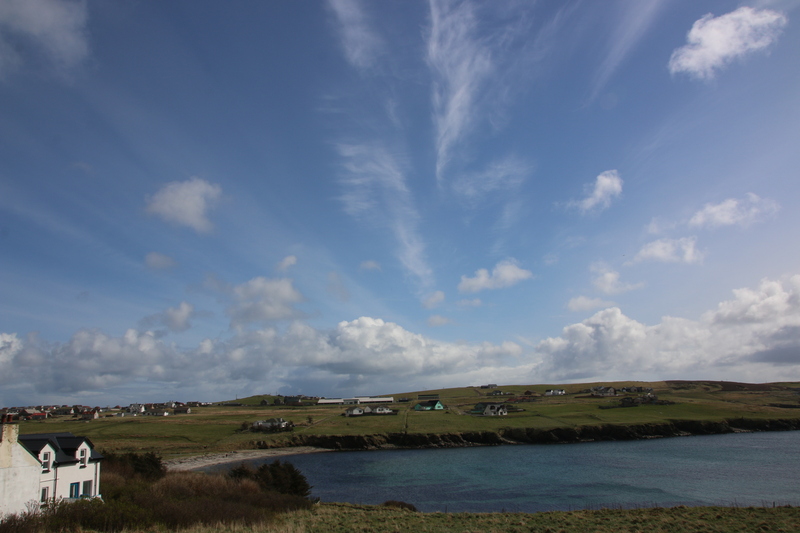 This is the ancient capital of Shetland and was first settled by the Picts. Hiding behind an old herring drift trawler, built in 1900 in Grimsby, the remains of the old castle is all that remains of the original settlement. 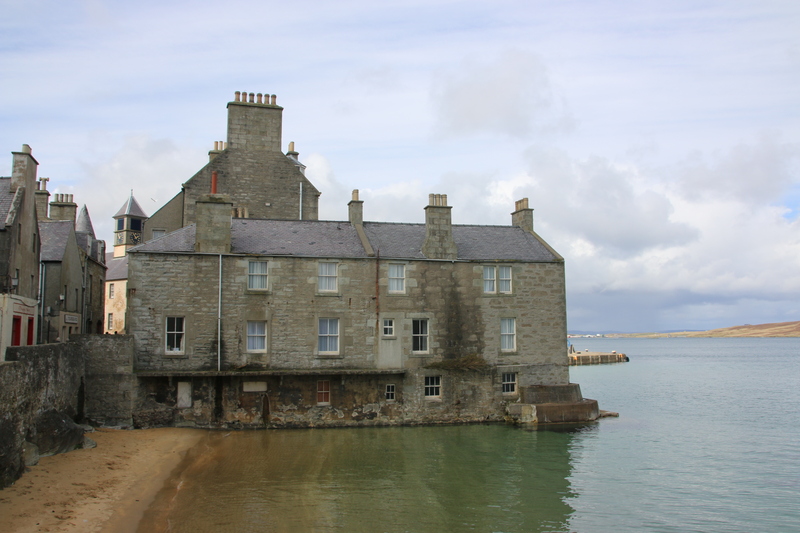 Now lines of brightly painted fisherman’s cottages & holiday lets, fishing boats & marina yachts surround the deserted building. The blades of wind turbines peer over the tops of turfed hills to provide a modern backdrop to this ancient scene.